“The Murray” is the newest addition to Tullibardine’s impressive portfolio. A cask-strength single malt that was aged for twelve years in first-fill Bourbon barrels, it is a classic Highland malt that will make collectors swoon. Reported to be perfectly balanced with aromas and flavors of dried apricot, tangerines, caramel, shortbread, oats, and Christmas spice, with a price point that is hard to ignore. This twelve-year-old is unpeated, so its maltiness and floral tones really shine through. A classic Tullibardine whisky, “The Murray” is named for Sir William Murray, Scotland’s second Marquess of Tullibardine. Murray was part of the Jacobite army and fought in the battle of Sherrifmuir on the hills above the distillery. The Murray is the first cask strength whisky made by the distillery this century! 12 years old, and bottled at full cask strength, this first-fill bourbon dram is a dream. It’s full of intense tropical aromas, sweet vanilla, malt cookies, and has an incredibly long finish thanks to the 56.3% proof. A limited release of 14,000 bottles. Distilled in 2005, bottled in 2017. Here is a whisky that is reminiscent of the classic Tullibardines we love from the 1960’s and 70’s and, hopefully, a sign of things to come. Got a bottle and want to compare? This magnificent 40-year-old whisky comes from a sherry cask, no 2132. Distilled in 1966 and bottled to commemorate the 1966 World Cup. Only 384 bottles were released worldwide. Includes wooden presentation box. Or check out all of the Tullibardine we have in our online bottle shop here. Want a cask of Tullibardine? Then talk to us today and we can get you your dream cask. 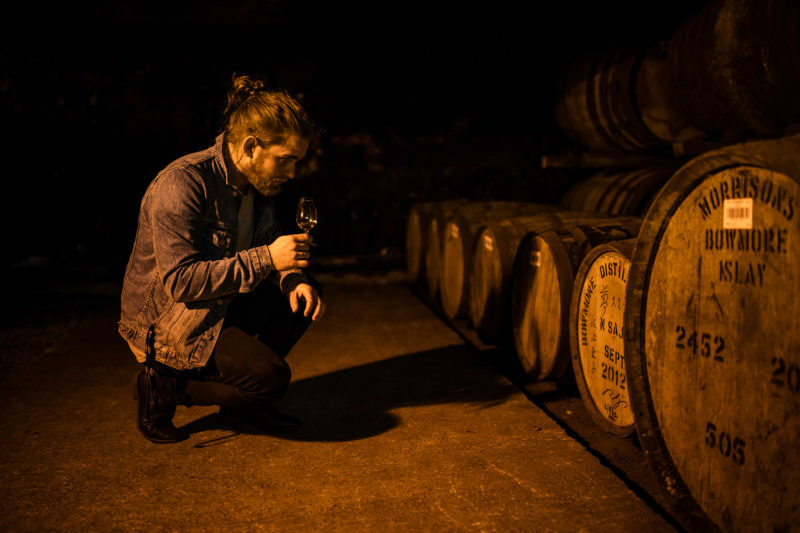 We have years of experience and access to some of the most respected and sought-after distilleries including, but not limited to, Macallan, Bunnahabhain, Glenlivet, and Dalmore; although we offer casks from over 40 distilleries across all major regions. You can rely on our fully bespoke, end-to-end care that covers the selection, storage & management of your chosen casks. We can also then assist with every aspect of the bottling and labelling of your uniquely matured whisky. If you would like more information, then why not check out our useful guide to cask buying a cask here. This entry was posted in Whisky Bottles, Whisky Distilleries. Bookmark the permalink.